Throughout my experience with staffing technology and automation, what I have found most exciting (and, ironically, most comforting) is that nobody is an expert in the field of automation. At least, this won’t be the case for long. First and foremost, it’s important to define exactly what we mean by “automation,” because the term seems to be popping up everywhere these days. To put it plainly, automation is simply removing the human operator from the process of a repetitive task. Automation can come in many forms, whether it be intended to reduce button clicks, messages composed or levers pulled. Automation can be as basic as pushing a key on a keyboard to simulate multiple presses or as sophisticated as your Amazon Alexa reordering the last item you purchased. In fact, the overall economy is shifting toward automation, often referred to as the, “gig economy.” Companies like Uber and AirBnB are not only dominating longstanding industries, but morphing them into something entirely new. Innovative companies combine automation and self-service in their offerings to reduce friction for users and customers. With companies like Fiverr and Upwork using these tactics to redefine the way people work, staffing firms cannot sleep on the need to innovate. While contingent or direct hire labor does not directly compete with per diem work that is driven by these types of offerings, we can see a definite shift toward this type of paradigm. Due to the administrative requirements in the staffing industry and employment in general, finding innovative ways to automate so that hiring professionals can focus on building relationships is becoming increasingly important. Why should a recruiter spend time repeating a search for a skill set when their time can be devoted to discussing the unique employment needs of qualified candidates? Why would we want our account managers providing administrative updates when they can be deepening their relationships in order to better optimize our clients’ workforce management? Those are the questions we are now being forced to ask ourselves in the staffing industry. In an industry that is struggling to differentiate offerings so firms can showcase their specialties, it is becoming increasingly important to automate the low-touch and often cumbersome tasks that go along with job seeking. As many teams will admit, the employers that choose to partner with staffing firms are not hiring experts; many times, they are making this choice as a last resort and need assistance fast. The same goes for job seekers; a qualified candidate may not be an industry expert, and is most likely looking for a frictionless way to receive speedy employment assistance. For staffing firms, it is becoming critical to accommodate the workers of this new economy and the companies who wish to hire them. The market itself is shifting, and market share will ultimately be lost. To what extent is unknown, but the innovation and use of automation that’s ahead for all hiring professionals should be becoming more and more obvious. Where do you see automation taking staffing and employment as we look to the future? Share your thoughts in the comment section below! 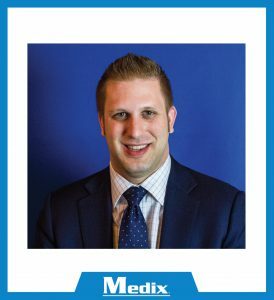 Matt is Medix’s Director of Data Information Systems and works out of our Chicago, Illinois office. This entry was posted in Clients and tagged automation, gig economy, hr technology, staffing industry, staffing technology. Bookmark the permalink.